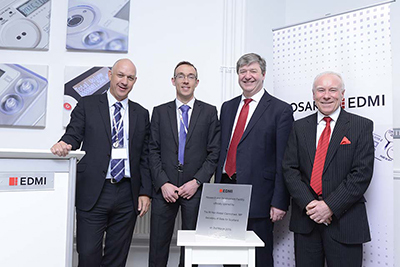 London, UK – 2nd March 2015 – Today, the Secretary of State for Scotland, the Rt Hon Alistair Carmichael MP, has officially opened EDMI’s new gas research and development facility in Dunfermline near Edinburgh. The opening of the new facility by EDMI, a global smart metering solutions provider, is another step in the company’s expansion in Europe and globally. 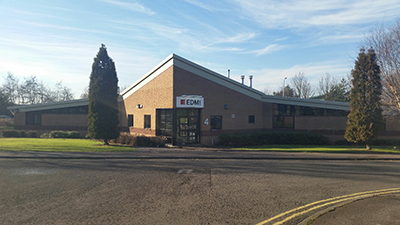 The new facility will be a global research and development centre for EDMI’s smart gas solutions, focusing on a range of ultrasonic gas meters using state of the art technologies. Since entering the UK market in 2004, EDMI has been a major player in the smart metering market and over the past three years has expanded its operations as it prepares to support the smart meter rollout in Great Britain. The smart meter rollout aims to install 53 million meters in 30 million homes and small businesses across Great Britain by 2020. EDMI, will design, manufacture and supply the communications hub for the northern region which includes northern England and all of Scotland. The hub will enable communication with electricity meters, gas meters, and the In-Home Display (IHD) allowing consumers to effectively monitor and manage energy usage.